Guide to the Sentieri della Lucertola trekking routes around Ischia. These paths are laid out in various lengths and difficulty levels to suit all kinds of walkers and trekkers. The paths of the lizard (Sentieri della Lucertola in Italian), are a project created by the local government of Barano d'Ischia to allow visitors the chance to enjoy Ischia's mountain countryside with its spectacular views of the island and its abundance of flora and fauna. There are four separate paths each with their own name and easy to follow as they are marked with differently-coloured lizards. Below are the start and finish points along with information about which buses to take to reach them. Each path has a relative difficulty level as well as an estimated journey time and a list of points of interest that they pass through. 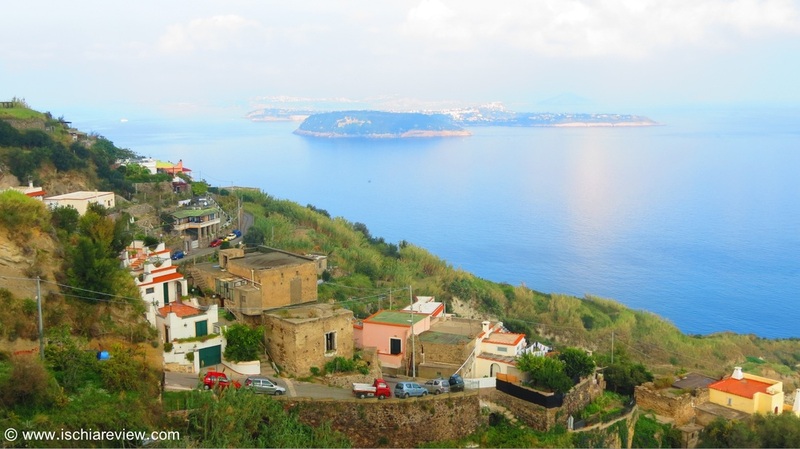 A trek through woodlands and the natural springs at Buceto, with breath-taking views of Castello Aragonese and The Bay of Naples. A walk through some of Ischia's vineyards and woodlands, passing by the old cellars in Candiano and Crillo with panoramic views of Capri and the Gulf of Naples. This trek passes by the Sanctuary of the Madonna at Montevergine in Schiappone with beautiful views of Barano and the surrounding villages as well as the volcanic crater of Vatoliere. A relatively short walk through vineyards and woodlands with views of the little fort of La Guardiola as well as the bays of San Pancrazio, Maronti and Cava Grado.